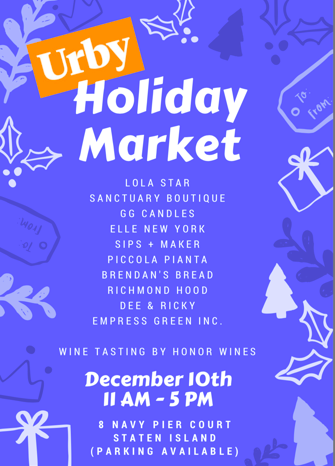 Join Urby Staten Island next Saturday, December 10, for its first annual Holiday Market, featuring more than 10 local businesses selling a specially curated mix of eclectic home items, handmade goods, clothing and accessories, delicious food, drinks and more. Pick up Dee & Ricky’s pixel heart pins (a favorite of Questlove? ), terrariums by Piccola Pianta, hand-poured aromatherapy candles from GG Candles, diamond dusted stationary by Elle New York, Staten Island-themed stocking stuffers by Lola Star, women’s clothing from Sanctuary Boutique, one-of-a-kind local pieces from Richmond Hood Co. and handmade gifts and toys from Sips + Maker. Honor Wines will be offering wine tastings, Urby’s chef-in-residence Brendan Costello, will be selling delicious baked goods and farmer-in-residence Zaro Bates and Urby Bee Keeper Asher Landes will host a CSA information booth. Urby Staten Island Holiday Market Saturday, December 10, from 11:00am to 5:00pm, at 8 Navy Pier Court with parking available. Urby Staten Island Holiday Market kicks off this Saturday, December 10, from 11:00am to 5:00pm, at 8 Navy Pier Court with parking available. 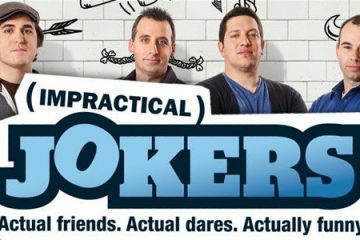 For more information, visit their Facebook Event Page.